Listen Online wherever you are! You can also listen through your smart phone! The free iPhone app is available now in the iTunes store. Get it here or search for KXOJ in the app store. Get it here, or search for KXOJ in the marketplace! Say "Alexa, enable KXOJ" to set it up. You only have to do this once. Then just say "Alexa, play KXOJ" anytime you want to listen. 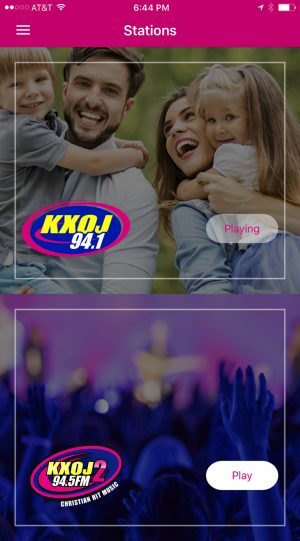 *tip: if you want to skip right to the stream, say "Alexa, play KXOJ and listen live."